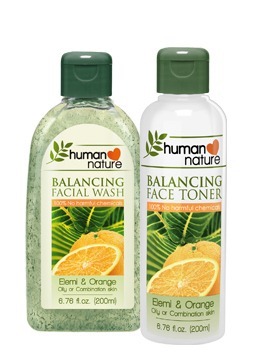 Human Nature’s monthly newsletter was sent to dealers and supporters yesterday and I am very excited about the new products. These will be available starting July 7, 2012. Balancing Facial Wash and Toner – This is a new formulation and it’s bound to be better than the last one. I love the last formulation as it is, specially made for those who have oily and combination skin like me. I love the interesting texture that the bamboo scrubs and loofah bits provide. They are there to gently cleanse the skin while keeping oil in check. I just love it! 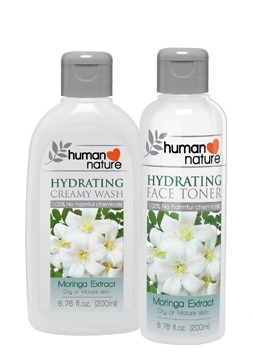 Hydrating Creamy Wash and Face Toner – The moringa in this facial wash provides a nutrient boost to dry and mature skin. Now, it’s a richer and creamier textured wash and toner with a powdery floral scent. 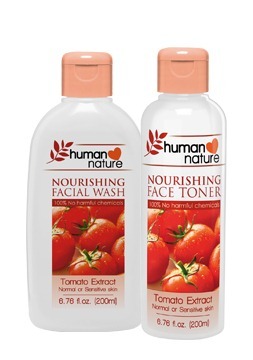 Nourishing Facial Wash and Toner – Now this one was specially formulated for Normal to Sensitive skin. It contains tomato extracts that are rich in Lycopene and Vitamin C, helping to strengthen the skin’s barrier to protect it. Glowing and radiant skin awaits those who try it! I think this is very close to the original formulation of the first Human Nature Facial Wash and toner that I used! 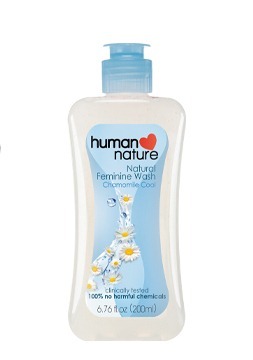 Natural Feminine Wash – Chamomile Cool – Feel calm, clean and cool after every wash. 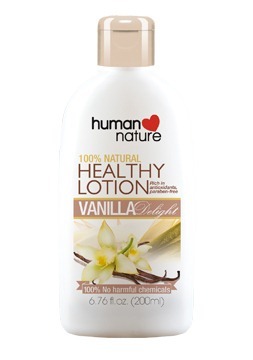 Healthy Lotion – Vanilla Delight – I use the Berry Bliss variety and I can attest that Human Nature lotions are easily absorbed by the skin. It definitely locks the moisture in as well. You can tell as soon as slather it on. I absolutely love the smell of berry but I understand when sometimes you just don’t want the sweet smell. For those times, vanilla is just right! Moisturizing Shampoo and Conditioner in Lush Vanilla – I love the fresh mandarin scent of my Strengthening Shampoo and Moisturizing Conditioner! But this new lush vanilla variant is bound to be another pleaser. 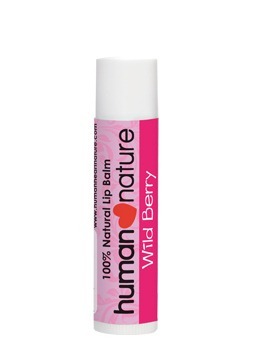 Wild Berry Lip Balm – the wild berries these are made from? Sourced locally! Body Butter Cream in Berry Bliss 200g 264.75 274.75 Stock up now! Body Butter Cream in Berry Bliss 50g 104.75 109.75 Stock up now! Calming Massage Oil 195ml 340 350 Stock up now! Calming Massage Oil 95ml 185 190 Stock up now! Rejuvenating Massage Oil 195ml 340 350 Stock up now! Rejuvenating Massage Oil 95ml 185 190 Stock up now! Tinted Lip Balm 69.75 79.75 Stock up now! Strengthening Conditioner 500ml 289.75 299.75 Stock up now! Moisturizing Conditioner 500ml 289.75 299.75 Stock up now! Intensive Hair Mask 200g 279.75 299.75 Stock up now! Leave me a comment if you want to order! 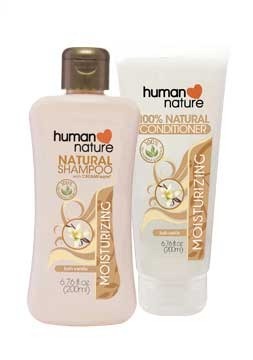 Nice there are new products from Human Nature. I love how their company works. I’m using the old formulation of the elemi wash and I’m excited to try that new one. Thanks for sharing! I was about to start shopping when I saw this link shared by Tracy. Will wait for July 7 and the new releases then. Yey and thank you for sharing! Sooo nice of you to share! Will definitely use it soon. Thanks, Vera! Cheers! I am looking forward for these products. For sure these are great products. I love the lotion and the feminine wash.. It’s very refreshing! Thanks for sharing these products..
I’ve had eczema my whole life – and my daughter does too. I agree about trying to avoid medicines – and go natural whenever possible. Can you please provide me the website to buy Touch of Nature products? Thank you for every other informative site. The place else may I get that type of info written in such an ideal means?